One spring ritual that Disney World guests have come to love and enjoy is the Epcot International Flower & Garden Festival. 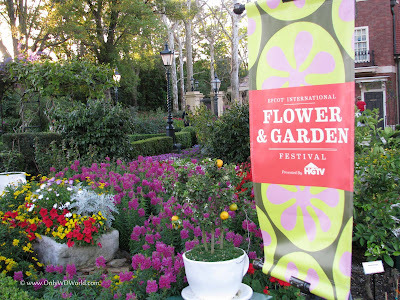 The 2012 version of the festival takes over Epcot starting on March 7th and runs through May 20th. During this time Epcot guests are treated to literally millions of blooms, and over a hundred topiaries and dozens of gardens and displays. The normally spectacular Epcot landscaping gets even better as the Disney World horticultural staff does an amazing job each year. Disney topiary specialists worked to create the striking new design with innovative materials and recycled elements from years past, says festival horticulture manager Eric Darden. An earlier version of Sorcerer Mickey stood less than five feet tall; a larger frame was built, Darden says, to more accurately reflect the character in the front-entrance Fantasia scene. The new Fantasia “mountain” grew from a 2003 topiary piece that once held a “Steamboat Willie” Mickey Mouse display. The front-entrance floral spectacle will welcome guests to a festival packed with new displays, featured speakers and hands-on fun for all ages. •Bambi’s Butterfly House, three times the size of the festival’s original, will be a-flutter with multiple species of brilliant butterflies. At Imagination Walkway by Innoventions West. •Pixie Hollow Fairy Garden - Fabulous Disney fairy topiaries alight to greet young fans who enter this whimsical garden designed with play structures for children ages 2-5. At the Test Track Walkway. •The HGTV Designers Stage will present HGTV celebrities each Friday through Sunday and nationally recognized garden personalities Monday through Thursday. At the Festival Center. •The Flower Power concert series will welcome back 20th century pop favorites this year when Jose Feliciano, Chubby Checker and The Wildcats, Paul Revere & The Raiders, Davy Jones and seven other bands rock the America Gardens Theatre with their timeless tunes. Friday, Saturday and Sunday. Performers and appearance dates subject to change. Thirty million blooms, 240 floating mini-gardens on two ponds, 700 container gardens of flowers, herbs, plants and vegetables, dozens of Disney character topiaries, 30 “flower towers” of impatiens and sweeping beds of floral designs will create a tapestry of brilliant color across the 260-acre Epcot landscape. It takes more than one full year and 400 Walt Disney World horticulturists to plan and prepare for the 75-day festival. One of the most interesting challenges is finding just the right plant materials to bring the park’s topiaries to life. The front-entrance “Fantasia” rock cliff topiary will be carpeted with a “blackish-purple Ajuga,” says Disney plant specialist Heather Will-Browne. White and blue flowers will represent streams of water tumbling down the rock face, she adds, and the “Fantasia” theme will be carried out with masses of hot pink geraniums, blue delphiniums, white poppies, violet petunias and blue pansies, among others. Other show-stopping character topiaries: Lightning McQueen and Mater from “Cars 2″ at the Japan showcase; Buzz, Woody and Lotso the teddy bear from “Toy Story 3;” and the Fab Five – Mickey Mouse, Minnie Mouse, Donald Duck, Pluto and Goofy — outside the Festival Center. The horticulture team also will plant new landscape looks outside the Italy and Norway pavilions, Will-Browne says. In Italy, gardeners will display a mix of containers overflowing with bright flowers and pots of fragrant herbs used in Italian cuisine. Around Norway, “we’ll do a white show of geraniums, violas, snap dragons, poppies and alyssum,” she says. A small Norway meadow will feature “a mass of brilliant, wild mixed color.” Each of the park’s other nine World Showcase countries will feature special festival landscape elements. •The Festival Center- Guests can shop for festival merchandise, attend demonstrations and get ideas and tips from master gardeners. In Future World between Universe of Energy and Mission:SPACE. •Disney Gardening at Home presentations - Disney horticulturists will share gardening tips and lead guests in a hands-on, take-home activity at the Festival Center. •Special Festival Weekend Celebrations - An Art in the Garden celebration of plein air artists is scheduled March 23-25; a Florida Federation of Garden Clubs gathering will be April 27-29; and a Fresh from Florida Farmer’s Market salute is slated for May 4-6. More information about the 19th annual Epcot International Flower & Garden Festival is available by calling 407/W-DISNEY (934-7639) or by visiting disneyworld.com/flower when festival time approaches. The festival, including all gardening programs and exhibits, is included in regular Epcot admission. 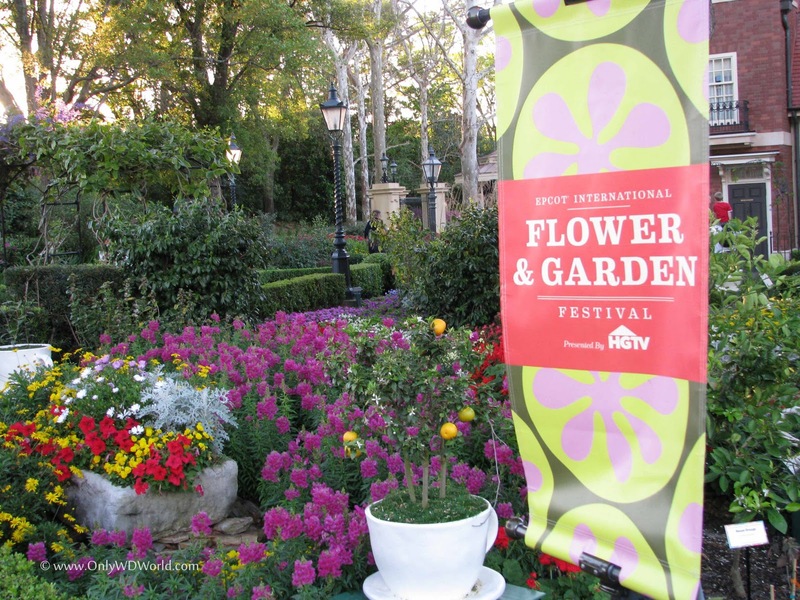 0 comments to "Epcot International Flower & Garden Festival Returns For 19th Year At Disney World"